Microsoft has made a change to an update for Windows 7 that can prevent certain systems from booting. While you might expect me to say, "good news, the software giant has fixed the problem", in fact what Microsoft has done is switch the update from "optional", to "recommended". So, on some systems, it will now install, and break Windows 7 automatically. Unless you have an ASUS motherboard. This wasn’t much of a problem before because, as I say, the update was optional. But now it’s recommended, people are encountering this issue where they wouldn't have done so previously. Woody Leonhard at InfoWorld says he’s seeing a lot more problems being reported. Thankfully, ASUS has a solution to the problem, which you can read about here. To be fair, this problem is the fault of ASUS rather than Microsoft, but switching the update from optional to recommended is going to be what causes people trouble. So, short answer, if you have an ASUS motherboard and you're running Windows 7, check your recommended system updates list carefully. If this bites you, your repair options are apparently "reinstall windows 7 again," or "upgrade to Windows 10." 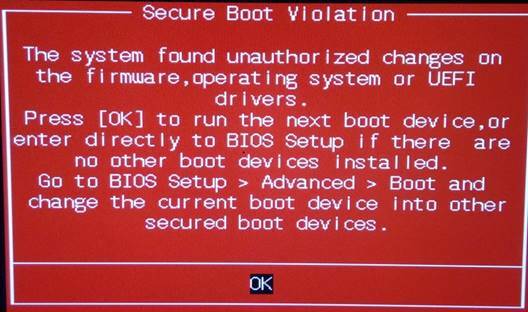 Most motherboards have the ability to disable Secure Boot in the BIOS. For an OS that requires it, that obviously prevents booting (as is the entire point of Secure Boot), but in a Win7 environment, it just bypasses this particular little MS fuckup. I've already run across this once at work. Irritating, but the work of a few minutes to fix.